The Villages at Fort Irwin is an innovative partnership with the U.S. Army that involved the development and construction of 715 new homes in four different neighborhoods at Fort Irwin for soldiers and their families. Features in each new home include a spacious great room, an upgraded kitchen, at least three large bedrooms, generous interior storage space, and a two-car garage. 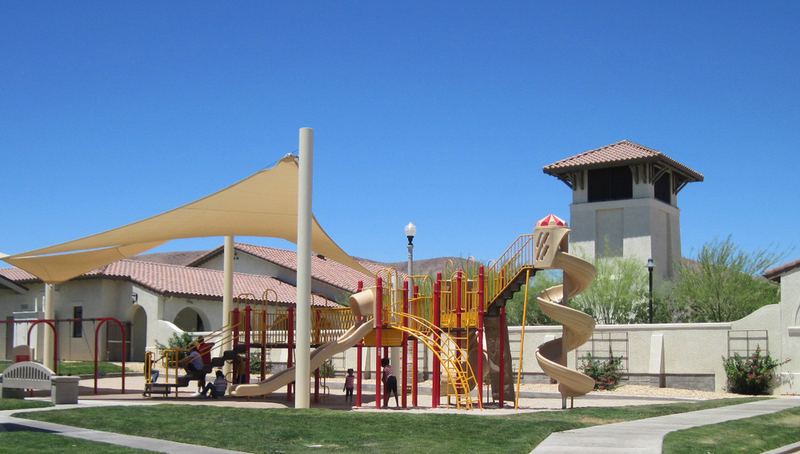 The new neighborhoods at Fort Irwin also include amenities such as parks, tot lots, playgrounds, tennis courts, and basketball courts. A set of 200 new Senior Unaccompanied Housing (SUH) apartments were also constructed as part of the Irwin Town Center, a mixed-use urban village.